we threw a garden party! but instead of a garden it was a field of alfalfa. and it wasn’t just this table. 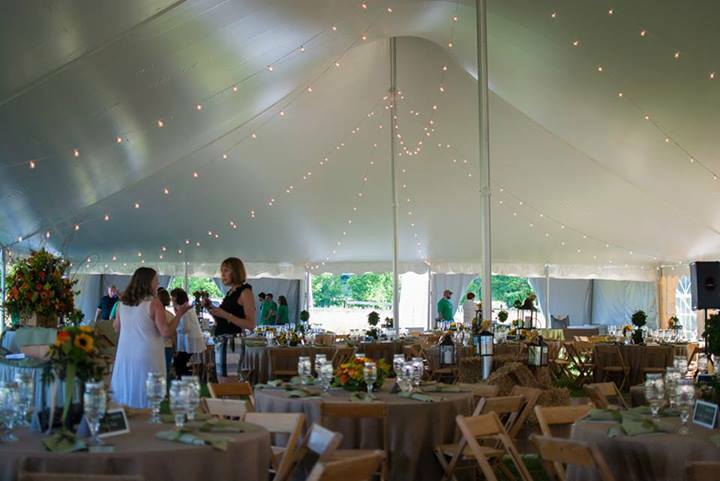 we cooked for 250. in a field. with a generator. and a lot of crossed fingers. we brought our camera, but didn’t get any pictures; the girl and i had our hands full. thanks to lexi browning for sharing her photos with us. 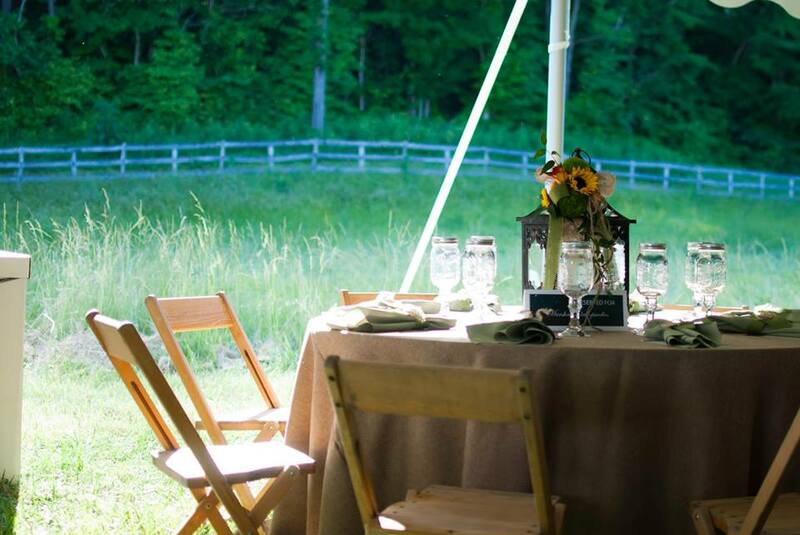 the menu included six small, southern plates and three desserts. here are a few of them. 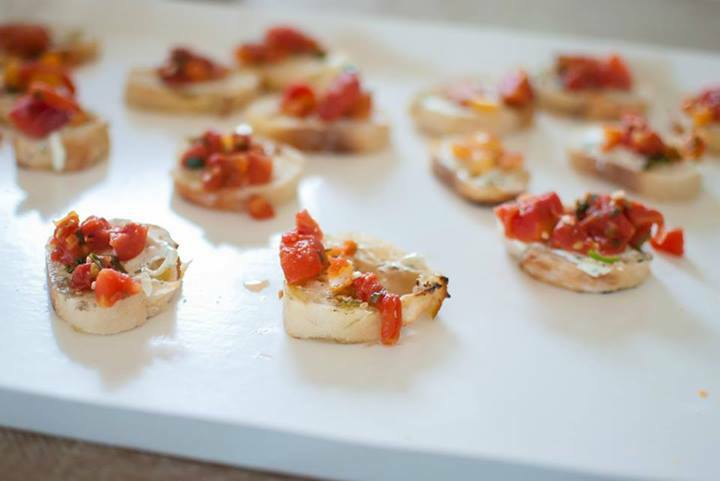 grilled baguette with chèvre and sauteed heirloom tomatoes. 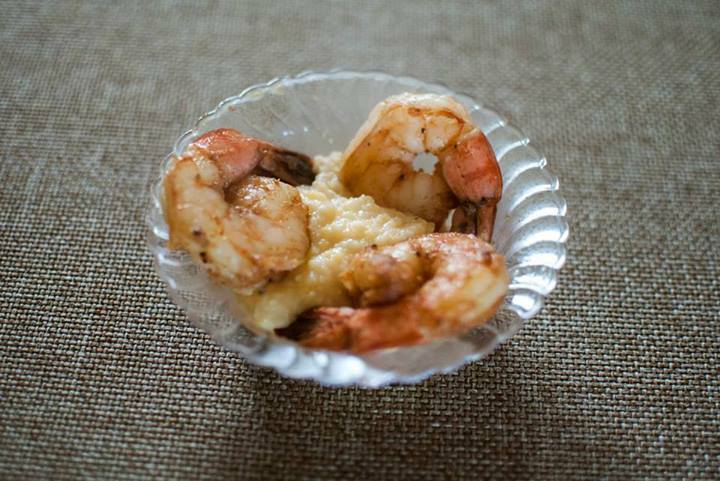 the shrimp and grits: sauteed, cajun shrimp over cheesy grits. 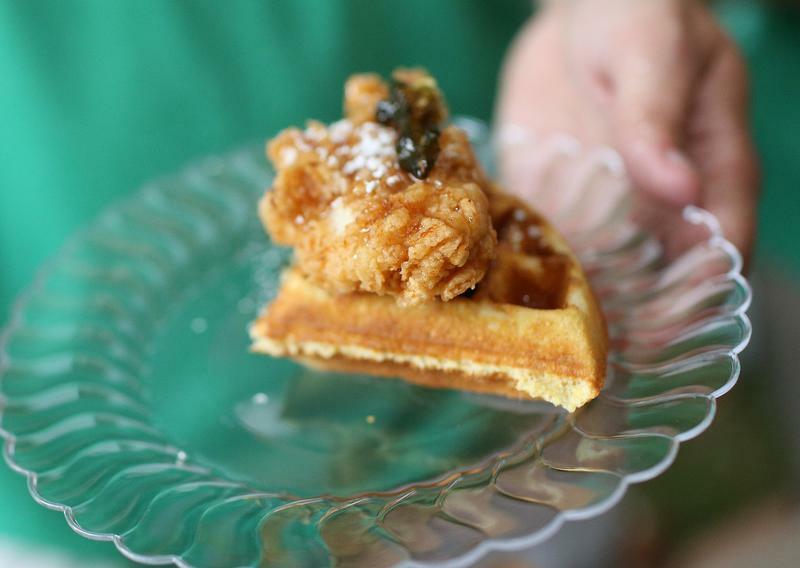 the chicken & waffle: battered and fried chicken over a cornbread waffle, topped with a candied jalapeno, maple syrup and powdered sugar. 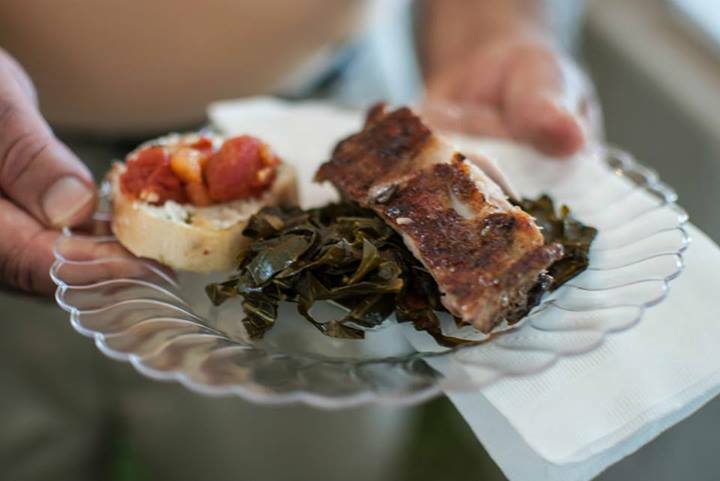 the rib: a marinated and smoked rib over a bed of slow cooked collard greens. the mac & cheese: homemade macaroni and cheese, topped with candied bacon and a parmesan crisp. the slider: slow cooked pulled pork slider on a mini ciabatta bun, with roasted brussles sprout slaw. bread pudding with bourbon sauce. so, that’s how we spent our weekend. what did you all do?